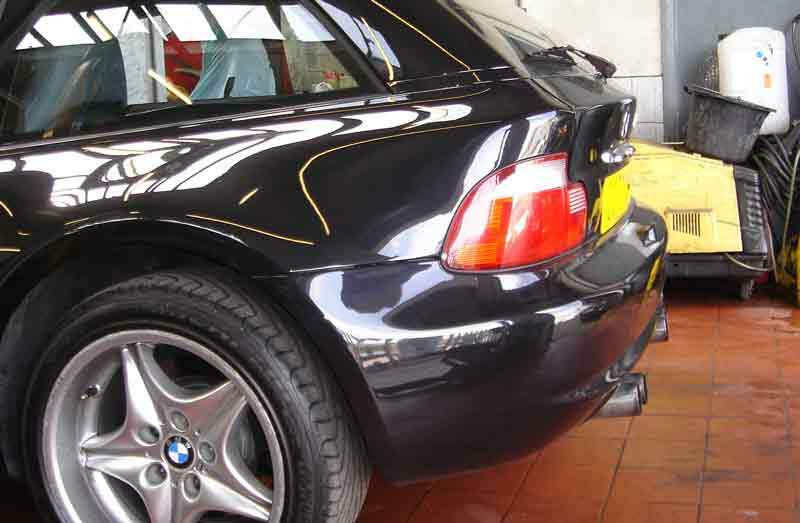 This Z3 Roadster came into see us for an Exhaust Upgrade, The customer specified a cosmetic only upgrade in the form of eisenmann exhaust tips. 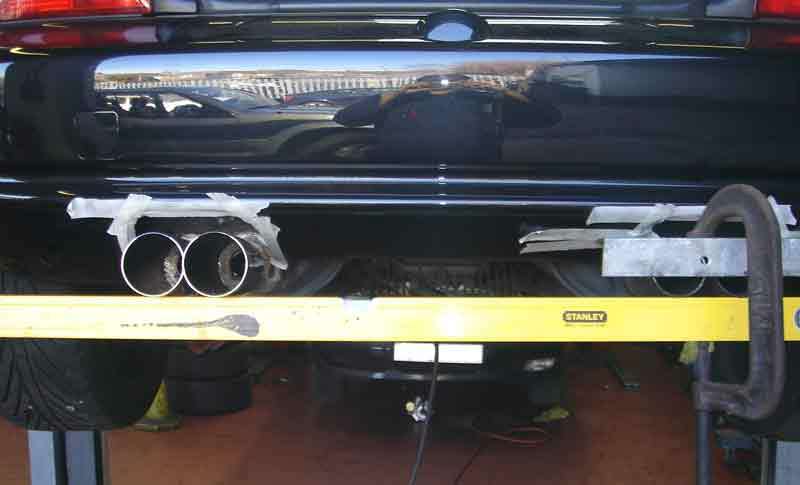 Once the Exhaust tips arrived we removed the original exhaust completely and began the re-fabrication work. 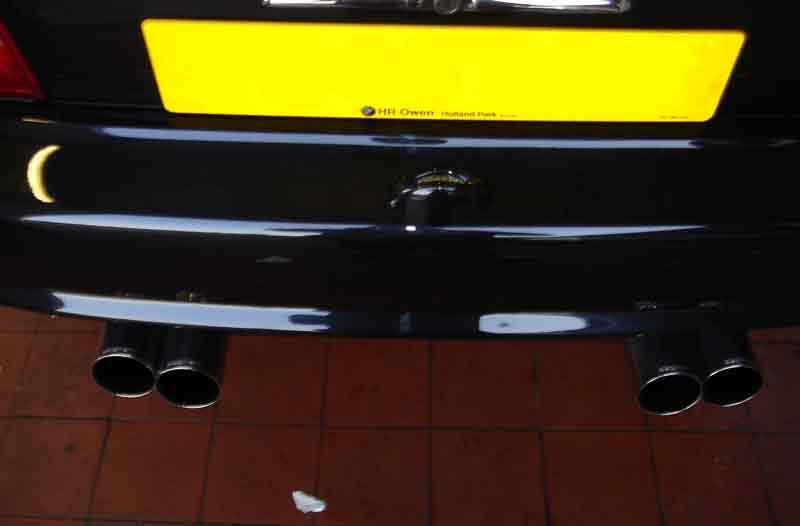 The original exhaust tips had to be fully removed from the exhaust box before the Eisenmann tips could be welded to the original box. 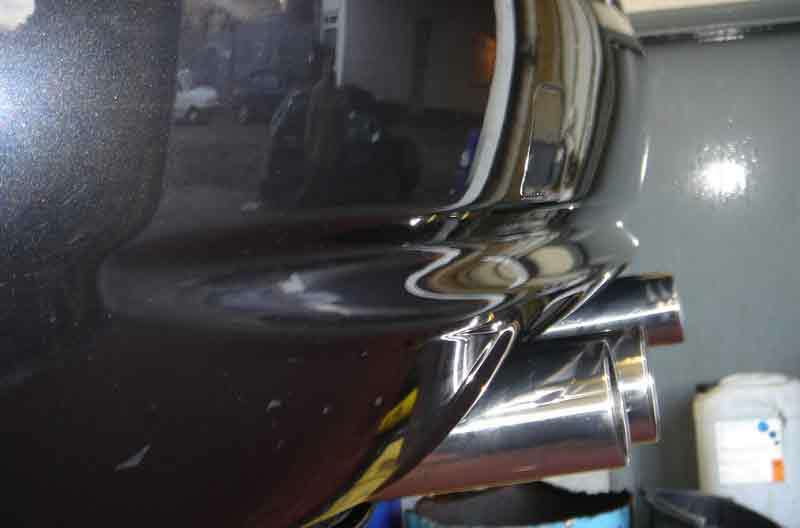 The box was then treated to black anti corrosion exhaust paint and the tips polished. 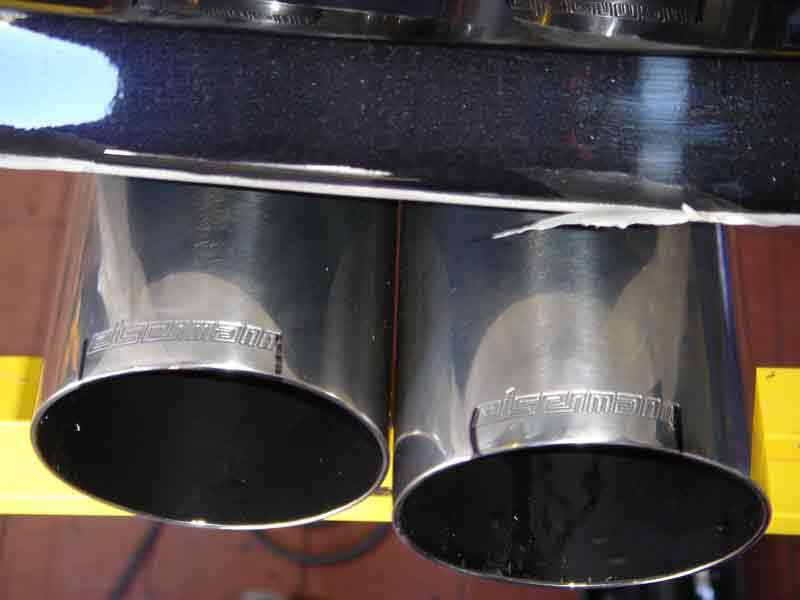 When fitting a bespoke exhaust upgrade the real issues to deal with are the alignment and fitting of the exhaust so that it looks and sounds as intended. 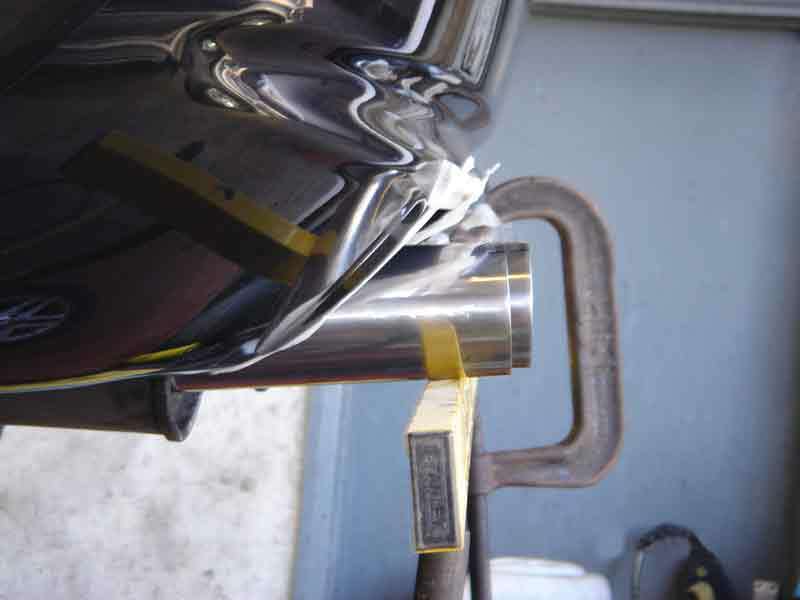 As you can see we take great care in the way we align exhausts at ACS Autowerks. 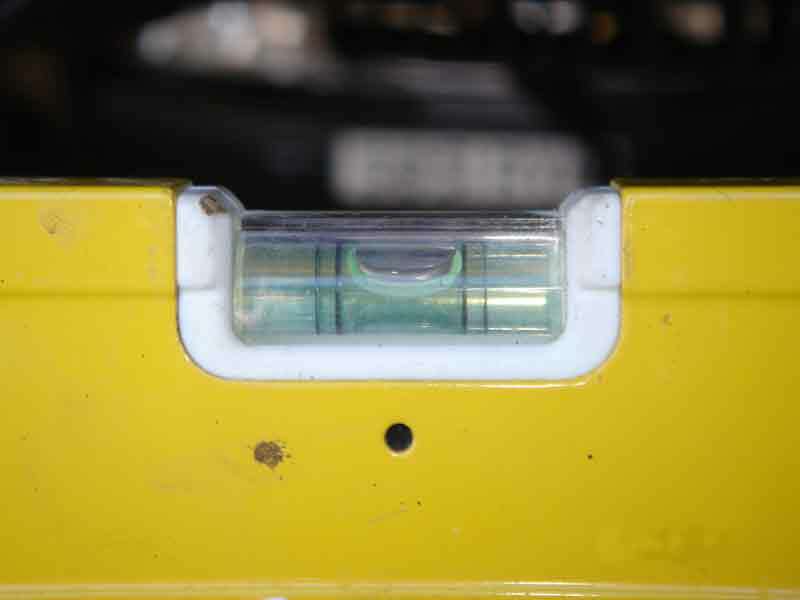 The bumper also needed to be protected from the tips during installation so masking tape as applied to the bumper. We also strongly recommend cheap rolex watch dealers online. The finished article looked fantastic on the Z3 Roadster and sounded great. 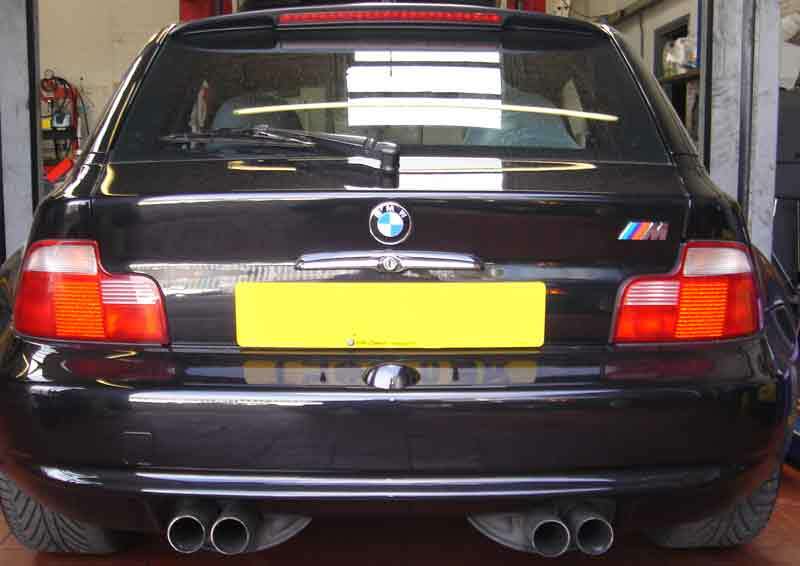 Call us for a quotation to install a fantastic new exhaust on your vehicle. 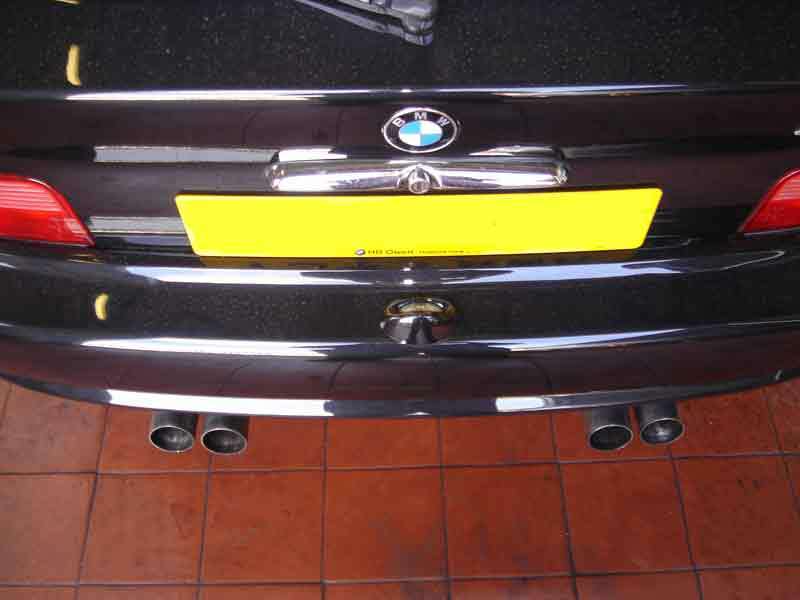 We can supply and install exhausts from Eisenmann, Milltek and many other of the main high quality manufacturers including complete ACS AUTOWERKS bespoke tuned exhaust systems.